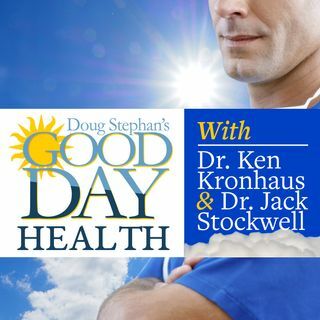 Host Doug Stephan and Dr. Jack Stockwell www.forbiddendoctor.com begin with a discussion about Astronauts and difficulties with their immune systems. Next, a look at Tooth Decay and how it affects your overall health. A new study reveals that sugary drinks are linked to premature death in women. Sugar prevents the white blood cells from doing what they're meant to do. Then, Dr. Jack explains why heart related problems are more likely with African Americans. You may want to consider the ... See More many benefits of Metabol. Plus, lots more information about maintaining your Good Health.